Like Father, Like Son — or not? 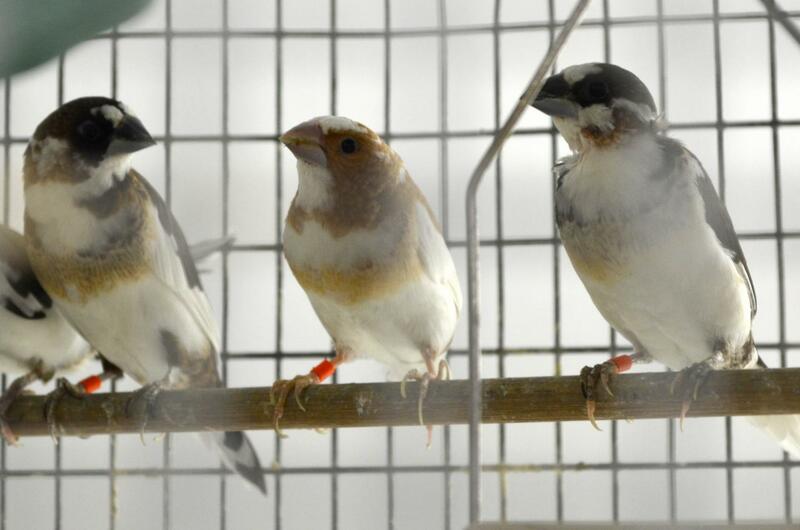 In nature, male Bengalese finches learn their mating songs from their fathers. But how much of that learning is predetermined by genetics? And how much is influenced by experience? The answers to these questions are important to scientists like former JCC Fellow David Mets (2010-2013) because they can help us understand how other complex behaviors — like human language — are learned. In Michael Brainard‘s lab at UCSF, Mets noticed that individual birds’ songs varied quite a bit, even when they had learned from the same adult. In a recent study, Mets investigated this phenomenon by removing eggs from nests within 36 hours of being laid — before the developing bird has any nerves with which to hear — and manipulating their learning. Once hatched, some of the birds were exposed to recordings created from natural birdsongs with varied tempos. These birds grew up to sing like the biological fathers they had never heard. In this case, genetics had a bigger influence on their learning than their experience listening to the recording. The rest of the birds learned songs from a live unrelated tutor, a foster father. These young birds successfully learned their foster fathers’ songs. Unlike the first group, experience mattered more than genetics. “This was really exciting because it showed that the experience provided by a live tutor can actually reduce the contribution of genetics to complex behavior like birdsong,” Mets said. “We knew before that live tutors helped birds learn better and faster, but we were surprised to find that this experience can actually override the bird’s genetics.” The study was published in PNAS.